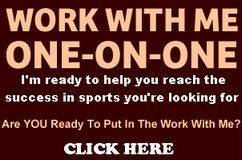 This Mastermind Sports Management is an online international group of professionals. On a monthly basis they will share their opinion on a certain topic. You can look at the background of each mastermind by going HERE. Sponsorship in small countries can often take rather innovative forms especially in light of the limited number of corporate institutions available to the ever-increasing sport community. Increasingly sports organizations have to turn to value-in-kind arrangements for support in their endeavors. One simple example is the offer to provide local or home-made juices to the Organizing Committee by family members of a participating club in lieu of cash contributions. It may seem small but in many small Caribbean countries every such support proves invaluable to Organizing Committees which wish to sustain their developmental thrust. I always advise sport organizations to not look only for financial sponsorships, but also for services and products. The big benefit for companies is that they don’t feel the financial burden so much, when they sponsor/donate with services or products. A simple but creative way of sponsoring is one where in a soccer stadium the sponsor refused to buy one of the billboards around the field. There were so many, that this particular sponsor would not get the unique exposure they wanted. What they negotiated in their sponsorship deal, was to get exposure on all of the steps in the stadium. It was something new, and they were sure that everybody in the stadium, walking on the steps would see their brand name. In sport we are always talking about winning: Athletes win, there are event host winners and also in relation to sponsorships we should talk about winning. How do we ensure that the sponsors win by supporting an athlete, organization, event or club? When talking about clubs and their sponsorships, we often deal with sponsors that are closely involved in the actual club or sport. An example from a very tiny triathlon club in Denmark: The club annually seeks sponsors for the local race with not more than 40 participants. The club would like to offer prizes for both the winners and random participants. This year the club has made a non-monetary sponsor deal with the much larger event KMD Challenge Copenhagen. This is an iron man event taking place in the heart of Copenhagen. The (small) triathlon club gets a couple of free tickets for the KMD Challenge Copenhagen, the event advertises this involvement via social media. The small local club thus gets some more attention, a few more participants, some great prizes. On the other side the Challenge Copenhagen also gets some attention, more participants and some local PR for the low costs of some free tickets. Right after I started with the U.S. Olympic Committee in the mid-80s, I remember a sponsorship deal where a national tire company was donating hundreds if not thousands of tires as part of their VIK (Value In Kind) sponsorship with our Olympic Committee. Obviously we didn’t need that many tires to support our Olympic Training Center motor pool so we decided to sell these tires to our employees and member National Governing Bodies. Subsequently, we always did something similar with too much VIK (i.e. sell the items) which the sponsors full understood. At the end of the day, any VIK given to any sports organization should be budget relieving versus a burden to the organization! A swim club got the local dentist to give the club a poster of the dentist with a photograph and all his contact details. This was placed on the equipment cage where all the swimmers kept their fins, kick boards etc etc. Kids need to see the dentist regularly, so I understand the club got a commission from the dentist. Do you have any examples to share? Leave them in the comment box below.